AS Monaco owner Dmitry Rybolovlev has revealed that the club will not stop Kylian Mbappe from making a big-money switch this summer. After enjoying a sensational season in front of goal, and helping Monaco reach the Champions League semi-finals and lift the Ligue 1 title, Kylian Mbappe is, at present, the hottest property in the world of football. Numerous top clubs from all across the planet have expressed interest in securing the France international’s services, and a bidding war is expected to commence as soon as the transfer window reopens, with several sources predicting that the world transfer record is set to be broken in the second successive summer market. 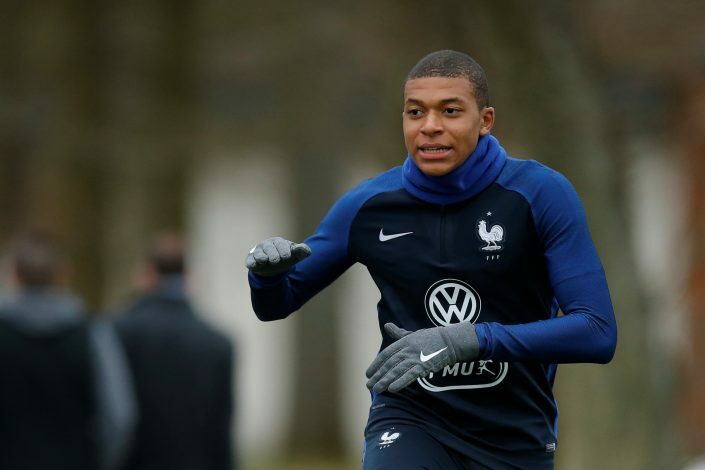 This 18-year-old sensation looked set to dominate the upcoming summer to begin with, but now, Monaco owner Dmitry Rybolovlev has added more fuel to the fire, by claiming that the French outfit would readily part ways with Mbappe if that’s what the player wished for. Speaking to L’Equipe regarding the prodigy’s future, the chief stated: “We are not here to decide in the place of men, block them, tell them yes or no. “We have no budget problem and we are not forced to sell, but the day when a player or coach wants to leave, it’s just unimaginable to keep him against his wishes. We are not Real Madrid or Barcelona or Manchester. Everyone has to cross the road in his career to go even higher. You do not keep a man against his will.